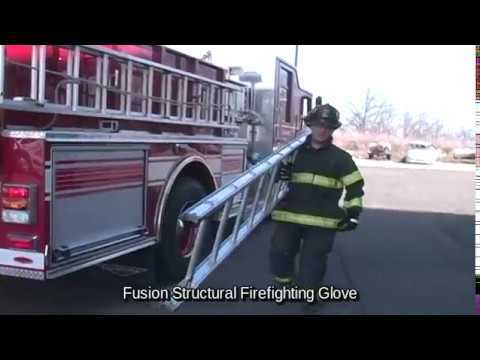 The #1 Structural Firefighting Glove. Today we responded to a house fire and this was the first time I really got to use these gloves. THEY WERE GREAT!!! I was standing next to a fully involved house fire and while the extreme heat was penetrating my bunker coat. I felt no heat at all on my hands. Not only that but the ease I had while wearing them was unmatched. Handling hose, nozzles, even a water bottle was no trouble. Bravo I finally found some gloves worth keeping. Your company has done it!! The gloves have been doing great; I got into some molten plastic the other day at a fire and the Fusion T’s performed flawlessly!